Aloe vera is a multi-purpose natural remedy which has a long history of popular and traditional use. Today it has a widespread use in the cosmetic, pharmaceutical, and food industries. You will find it in beauty products like skin moisturisers, soaps, shampoos, sun lotions and others. But aloe vera is not only applied topically in a form of various lotions and creams, it is also used internally – in a form of aloe vera juice. Consuming aloe vera juice helps with digestion and bowel movements but not only that, aloe vera juice has so many other health benefits, just continue reading to learn more. 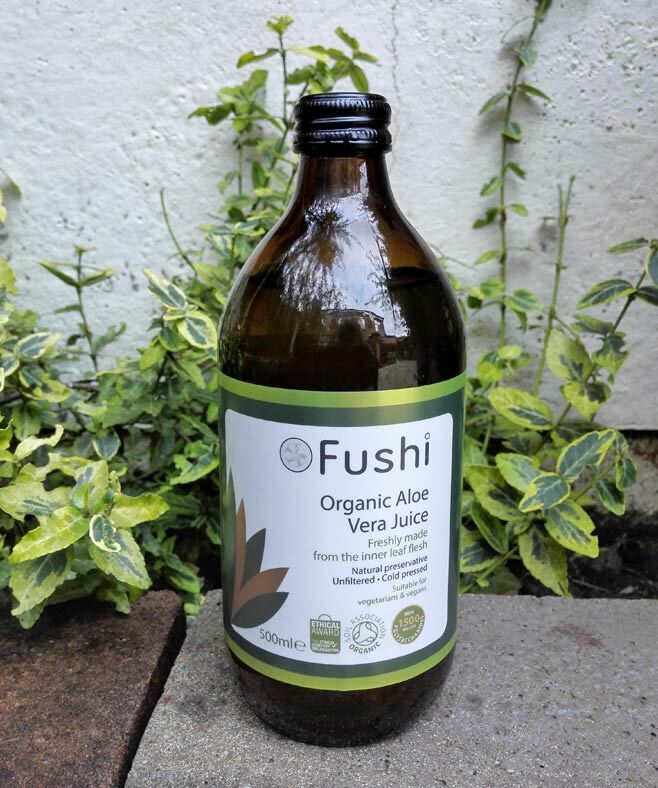 I’ve been taking aloe vera juice from Fushi daily for about a month or so to test it out and I’ve definitely seen some positive changes in my body which you can read about below. There is no doubt aloe vera juice is beneficial in many different ways but do you actually need to consume it? Read on to find out what aloe vera juice can do for you and how it can benefit your health. Aloe vera juice is a thick liquid made from the flesh of aloe vera plant which is known to contain 75 potentially active constituents such as vitamins, minerals, saccharides, amino acids, anthraquinones, enzymes, lignin, saponins, and salicylic acids. From the vitamins, aloe vera contains vitamins B1, B2, B6, C, E, and folic acid. It’s important to know that when you buy a commercial aloe vera juice it may not contain all the beneficial nutrients, especially if it’s been heavily processed. Don’t confuse the processed aloe vera juice drink with the real thing. It won’t give you the same results! The composition of Aloe vera extracts differs according to the plant variety, climatic and seasonal variations, and the age of the plant (Eshun and He 2004). However, the processing method has the largest effect on the number and amount of active ingredients in a product (Wang and Strong 1995). 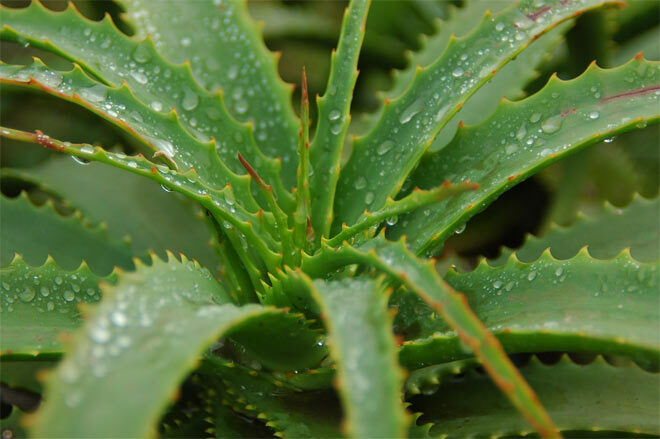 Although aloe vera extracts have been associated with the treatment of a wide range of conditions, not all the therapeutic claims have been the subject of clinical trials. 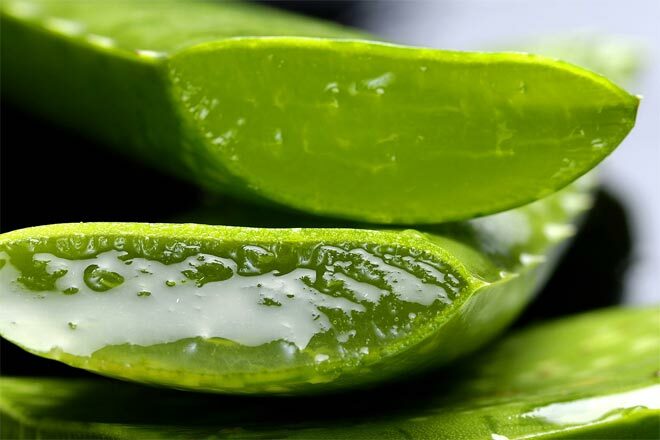 In addition to the above, aloe vera can be applied topically in a form of creams and gels and it’s been proven to relieve itching and speed up wound healing (including burns). When buying aloe vera juice it’s important to go for the one which has been minimally processed. Like this you ensure it has a maximum potency which will be more beneficial to your health. I’ve been trying organic Aloe vera juice from Fushi which is not made from concentrate and is unfiltered, cold-pressed, preservative-free juice of high quality. 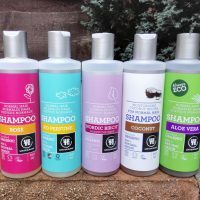 It has not been diluted with water and in the ingredients list you will only find 99.9% Aloe Barbadensis and Citric acid from tapioca 0.1%. To preserve it, it has been heated to 82 degrees for 1 minute and cooled down straight away before filling up the bottle. The taste of Fushi’s aloe vera juice is not bad and I didn’t find it bitter. It’s a bit sour, kind of lemony flavour and pleasant enough to ingest directly from the spoon although you could also mix it with juices. The reason why Fushi’s aloe vera juice is not bitter (like some other brand’s) is because it only contains inner leaf gel and no bitter outer rind. 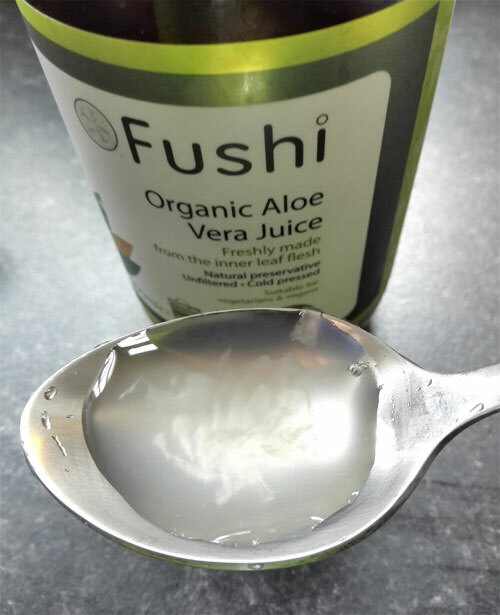 When using Fushi’s aloe vera juice I found it really helped my digestive health – I felt less bloated and although I don’t suffer from constipation I found it helped me be more regular. I’ve been suffering from a regular bloating for a long time and I previously discovered that I have a Helicobacter Pylori bacteria in my stomach which can cause this problem and even food intolerances can be a culprit. I was really pleased to see that aloe vera juice helped to reduce my stomach discomforts and for this reason I would definitely recommend it for this purpose. Aloe vera juice has proven health benefits and it’s especially beneficial for healthy digestion. If your digestion is troubling you, aloe vera juice is definitely worth giving a go. It would come useful especially during Christmas season when people over-eat and pay less attention to their health. Also to highlight, aloe vera juice can boost your immune system so if you fall ill often in colder months, aloe vera juice can help to prevent that. Aloe vera juice is worth consuming if you suffer from a particular health condition but you need to understand that not all the aloe vera products on the market today will have the same benefit. When aloe vera juice is highly processed many of the beneficial ingredients get degraded or destroyed so it’s important to choose a high-quality aloe vera juice (like the one from Fushi) which has been minimally processed. To purchase Fushi Aloe Vera Juice, go to their website or find it on Amazon.